SCORE study area with designated military operating areas outlined in red and white. We began conducting small-vessel surveys in association with the Marine Mammal Monitoring (M3R) on Navy Ranges program in 2006. 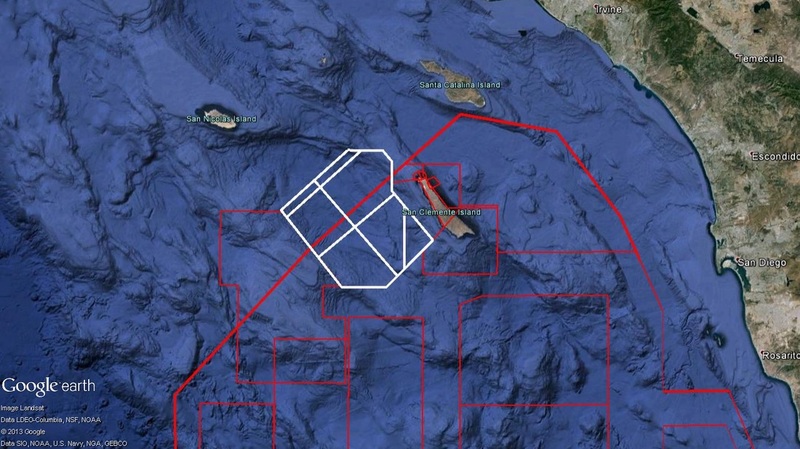 This has grown into our largest and longest area of research, expanding from basic species identification surveys to focused studies on the effect of sonar and other military activities on local species. 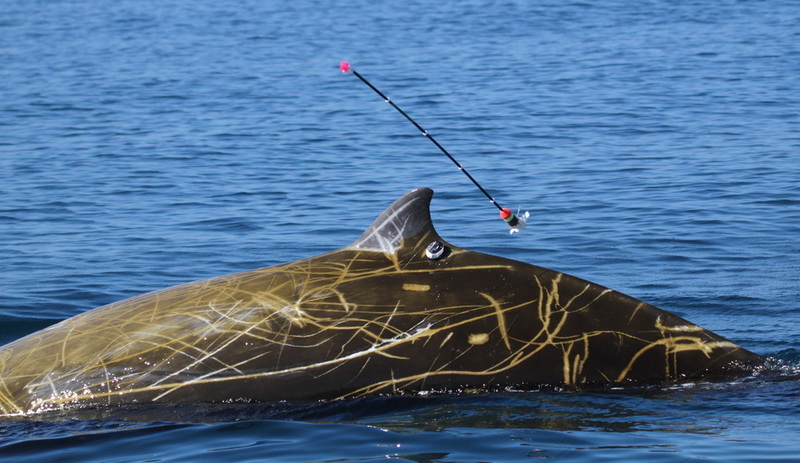 We use a variety of systems for collecting data from free-ranging marine mammals in our work. 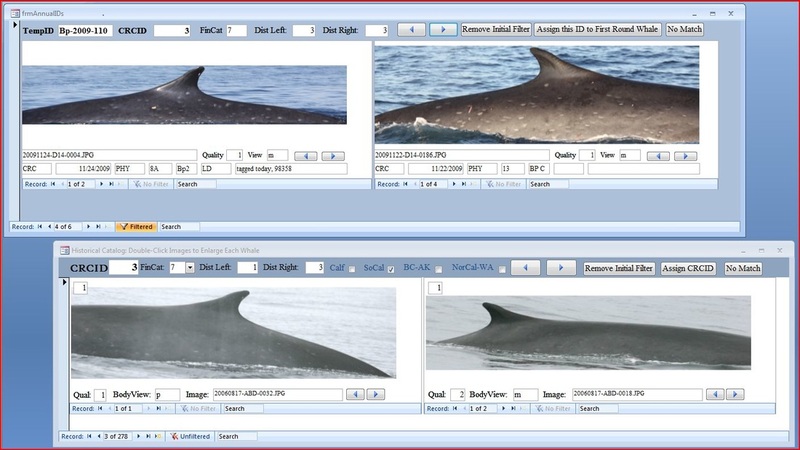 An example of the digital catalog management system custom built by MarEcoTel staff for fin whales. Photo-ID is a major component of almost every project we conduct. We currently maintain identification catalogs and sighting history data for fin whales and Cuvier's beaked whales along the US West Coast.